General Motors is warning the Trump administration that proposed tariffs could force the company to cut jobs and raise the price of cars, perhaps by thousands of dollars. The warning, made in a filing Friday with the Commerce Department, comes as America's manufacturers raise serious concerns about the president's trade policies, which they say could jeopardize their businesses at home. This week, Harley Davidson said it will shift some production out of the United States due to retaliatory tariffs from Europe. Small companies have flooded the Commerce Department with pleas to get out from under steel and aluminum tariffs. GM's letter comes in response to potential tariffs on imported cars and car parts. GM (GM) imports parts for cars that it makes in the United States. It also imports some cars to sell in the United States. "Increased import tariffs could lead to a smaller GM, a reduced presence at home and abroad for this iconic American company, and risk less — not more — U.S. jobs," GM said in the filing. 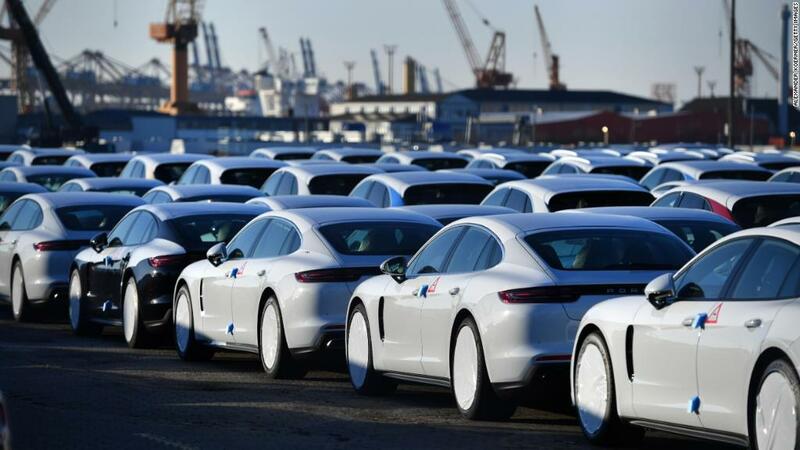 Combined with existing steel and aluminum tariffs, and tariffs that start soon on Chinese imports, "the threat of additional tariffs on automobile imports could be detrimental to our company," the company said. GM said an auto tariff would probably raise the cost of making some cars by thousands of dollars. And it warned that the cars that would be hit hardest by tariff-driven price increases are often bought by people who can least afford to pay more. "At some point, this tariff impact will be felt by customers," the company said. President Donald Trump last month instructed the Commerce Department to begin a national security investigation that would be the legal basis for new tariffs on cars and car parts. Trump later threatened to impose 20% tariffs on cars from Europe if the European Union didn't remove tariffs and trade barriers on US goods. Commerce Secretary Wilbur Ross said last week that he expects the agency's probe to conclude by late July or August. Parts of the American auto industry have strongly opposed the potential tariffs. Toyota said Thursday that the Camry will cost $1,800 more to make if auto tariffs become a reality. Toyota makes the Camry, the nation's best-selling sedan, in Georgetown, Kentucky. But only slightly more than half the parts come from the United States or Canada, according to an estimate by the National Highway Traffic Safety Administration. About 30% come from Japan. General Motors faces a similar problem. Roughly 57% of the parts in the Chevy Traverse, Buick Enclave and GMC Acadia, which are all made in Michigan, come from the United States or Canada, according to NHTSA data. A number of GM cars are manufactured out of the country, so the company would have to pay the tariff when importing them back into the United States. The Buick Envision is made in China, the Buick Encore is made in South Korea, and the Chevy Trax is made in South Korea and Mexico.